A mix of popular songs from the likes of Bon Jovi, Miley Cyrus, Katy Perry, Queen, David Bowie and many others. 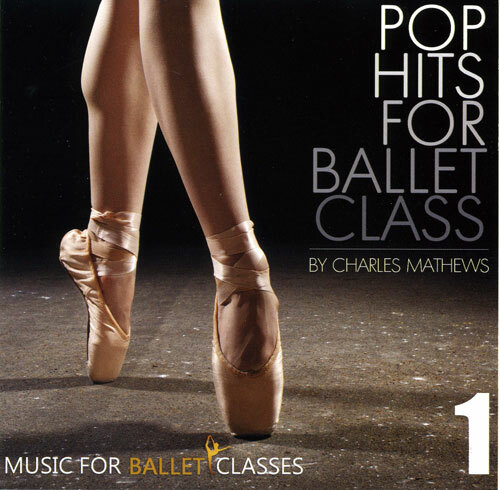 Breathe new life into your ballet classes with this fantastic selection of pop and rock hits from the last few decades, all expertly arranged for ballet class by Charles Mathews. Covering an eclectic mix of songs from the likes of Bon Jovi, Miley Cyrus, Katy Perry, Queen, David Bowie and many others, this collection is sure to inspire students and teachers alike. Many exercises have multiple choices of music at slightly different tempos or time signatures, giving you the flexibility to set many different combinations. is $20.00 for the CD.